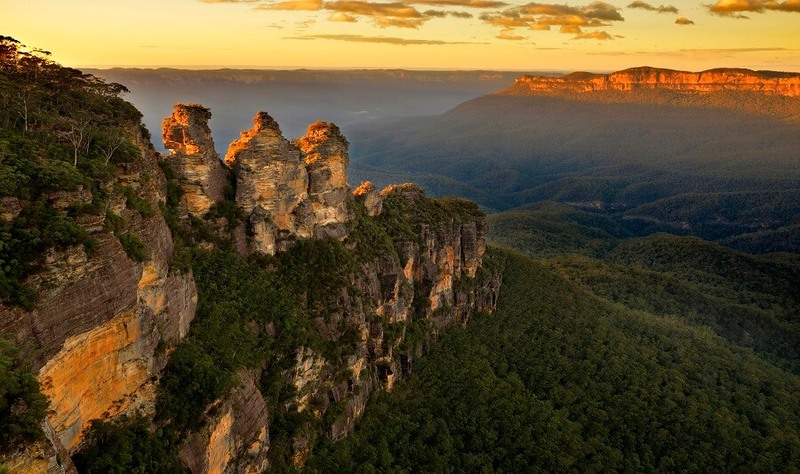 Discover everything the Blue Mountains have to offer on this sunset tour that lets you experience the region at the most magnificent part of the day. You’ll get to take a bushwalk, learn about the unique flora and fauna of the region, and watch the sky change from blue to inky black all in one afternoon. We’ll start by heading directly to the Blue Mountains, one of the country’s most popular World Heritage Listed National Parks. On arrival, you’ll be able to see for yourself just how magical the landscape is – look out for the sandstone escarpments that pepper the greenery and the magnificent eucalyptus forests that give the mountains their mesmerising blue glow. 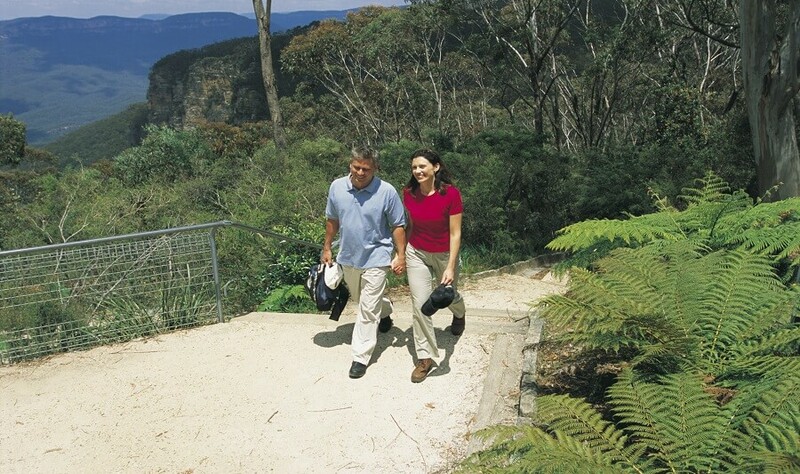 The tour really kicks off with a picturesque bushwalk through the surrounding forest, where we’ll take you past the ancient scenery of the Jamison Valley. On the way, we’ll divulge fascinating facts about the region’s flora, fauna, and indigenous history – keep your eyes peeled for the local wildlife, too! When the sun begins to set, we’ll grab a bite to eat and head over to the Three Sisters, one of the most prominent and important attractions in the region. From there, you can watch the sunset, casting an orange glow across the lush green velvet of the mountains. When it’s over, we’ll make our way back to Sydney where you can enjoy the rest of the evening under the bright lights of the city.